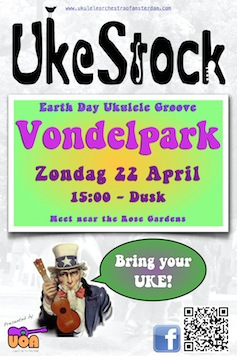 The next Ukestock will be held in the Rose Gardens in Vondelpark on Sunday 19th August. We should arrive there around three in the afternoon.. Put this date in your diary! 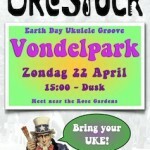 On the 22nd April, Vondelpark will play host to its first open ukulele jam. 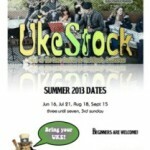 This will be the first of our outdoor summer events.. NO RAIN, NO RAIN!